3 Bedroom Flat For Sale in London for Asking Price £1,300,000. A well presented three bedroom apartment on the eighth floor of a gated development with porters, communal gardens and lifts. 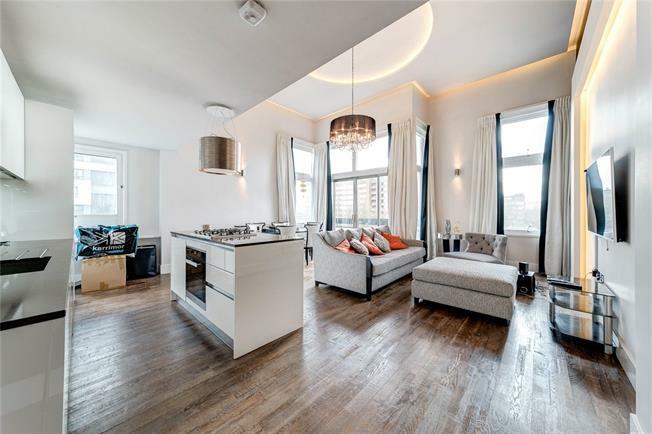 This bright 1100 sq ft (102.2 sq m) apartment offers open plan kitchen/reception room, three bedrooms (each with storage) and two bathrooms. The Water Gardens is a private gated development with porters, lifts and communal gardens, located on the Hyde Park Estate, moments from Connaught Village as well as being convenient for the amenities of Oxford Street. Nearby underground stations include Marble Arch (Central Line), Edgware Road (Circle/District and Bakerloo Lines) and Paddington (Circle, District, Bakerloo and Hammersmith and City, in addition to National Rail services and Heathrow Express). The widely anticipated CrossRail (Elizabeth Line) is due later in 2018, connecting London east to west with a major new hub at Paddington.